A short meditation this morning, focused on breath, is making this day so much easier. Perhaps because I am able at the moment to separate my thinking mind and everything around me including myself from the gift of being able to breath and have life. Counting on this awareness to stick around for a while. As for the painting, well, its special to me or rather the object I painted is special. A gift from my neighbor Raymond Ercoli on a day I wasn't particularly myself. Sensing discontent in the air, he lifted the weight with a gift of blooms. Jonas brought for me materials to paint. I spent the weekend of the blizzard not only hosting an art show, but also treading in snow, through the city, looking for bicycles. Here is the first of the paintings from snow that came in 2016. 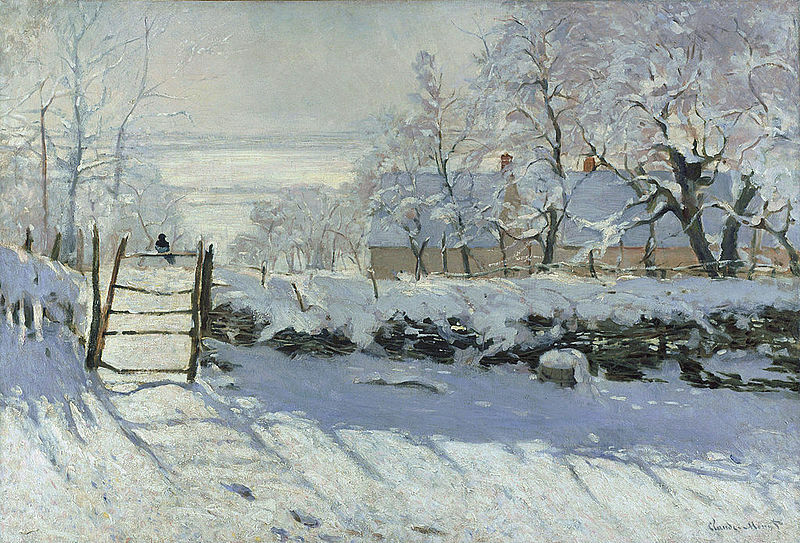 Perhaps, I paint white (or maybe just the white of snow) well because I love snow, and think its beautiful. Snow for me is fun and inviting. Snow shimmers when it falls from the sky that is often pink at that time, at least in the city. So much for talking about snow. Its time to go paint it. I wanted to share the snow with you, as its been snowing today and all I hear, feel and see is "paint snow". However, the day was filed with small welcome intrusions, that prevented me from making it to my studio. So instead, I decided to write about snow. Stay warm.